About NJboating.org | Welcome to NJBoating.org! New Jersey pumpouts, boatramps & more! Thank you for visiting the NJBoating.org, a comprehensive, easy to use, interactive website linking you to the best of boating in New Jersey! Use the mapping feature to locate boat ramps and pumpouts in the Garden State or get info on best boating practices, fishing regulations and much more. Vessel-generated sewage discharge can degrade water quality, impact people and wildlife and cause the closure of shellfish beds and swimming beaches, so pumping out your boat’s holding tank at a certified marina facility or into a pumpout boat will help keep New Jersey’s water clean, and aid in the protection of fish, shellfish and wildlife populations. 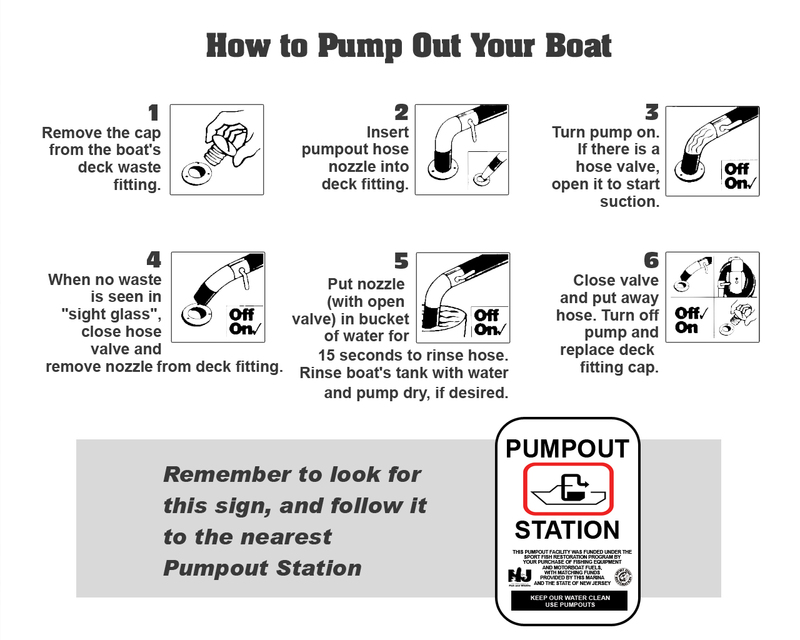 The site contains extensive information about the New Jersey Clean Vessel Act Program (CVA) including pumpout station locations, contact information, depth at pumpout and GPS coordinates. It also contains information to assist boaters such as locations of boat ramps available to the public, types of ramps available, ramp availability and more. The Clean Vessel Act Program provides grant funds for the construction, renovation, operation, and maintenance of pumpout stations and waste reception facilities for recreational boaters, and for educational programs that inform boaters of the importance of proper disposal of sewage. It also provides funds for the purchase of pumpout boats. Through these initiatives and programs, the CVA Program helps protect the health of New Jersey’s beautiful coastal and freshwater resources. The majority of Clean Vessel Act program funding (75%) is provided through the Sport Fish Restoration and Boating Trust Fund, which is administered by the United States Fish and Wildlife Service. This fund is derived from excise taxes on fishing equipment, motorboat and small engine fuels, import duties, and interest on the fund. Matching funds (25%) are provided from New Jersey’s “Shore to Please” license plate program. This means the important work done under the CVA program is paid for in its entirety through a “user pays” funding mechanism and at no cost to the general taxpayer.